Who Trained Columbus, Ohio’s first therapy dog? Buckeye K9. There’s a new deputy in Franklin County, but he won’t be issuing citations anytime soon. In fact, Mattis K. Nine’s main purpose is to make people happy. As a Labrador retriever, Mattis can help brighten someone’s day when they’ve recently been through one of their worsts. Being one of the only six therapy dogs in the country used by law enforcement to help crime victims, Mattis is the very first to do so in Ohio. What Are Therapy Dogs? How Are They Used? Since the late 1970’s, therapy dogs have been implemented to provide affection and comfort to people in hospices, schools, or disaster areas and to those with mental disorders, anxiety or autism. This can have a great positive impact on a community, lessening tensions not just on an individual level but in interpersonal relationships as well. Working alongside police, therapy dogs have a profound effect on those who’ve experienced a troubling time, healing with unspoken kindness where human speech and dialogue cannot. The effects radiate with the canine’s companions in the police force as well, bringing a therapeutic effect to both sides and providing a natural benefit for relationships between police and community. It’s important to understand the connection between police and community. When a member of the community calls the police, it’s not very frequent that it’s for something very joyful. The police also see a lot of negative every day at work. A police therapy dog is a step in the right direction toward lessening the strains of a relationship that are all too frequently exacerbated by the interaction of the distressed and the vigilant in unfortunate situations. Rather than the lights, sirens, and weapons unfortunately associated with the citizen and police dynamic, a therapy canine helps create a positive, healing conduit. Understanding both sides of the police and community dynamic really helps strengthen the positive bond between the two. That’s why the Columbus, Ohio police force turned to Buckeye K9 when they needed a dog trainer. 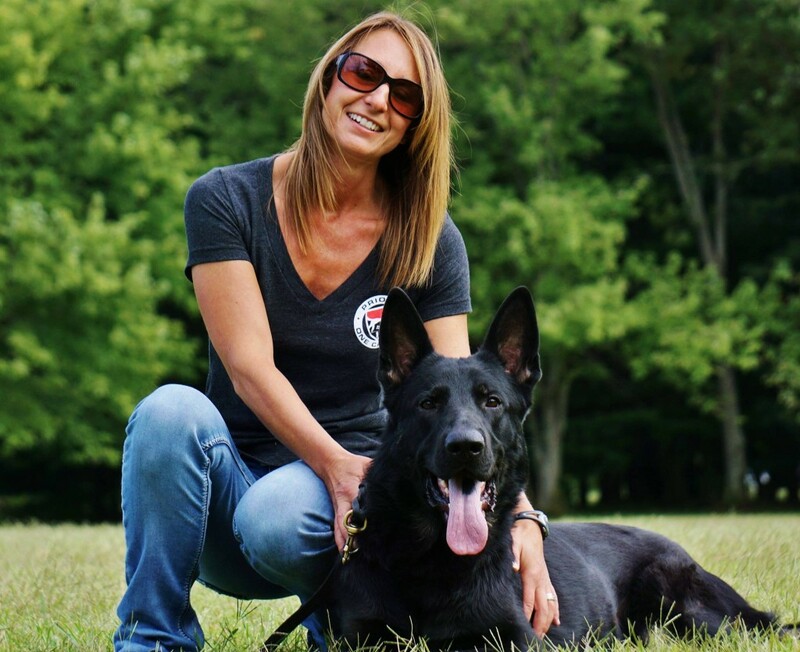 In addition to having trained Franklin county’s first therapy dog, Buckeye K9 has trained over 500 dogs as personal home protection dogs as well as police dogs in the Columbus Ohio area.